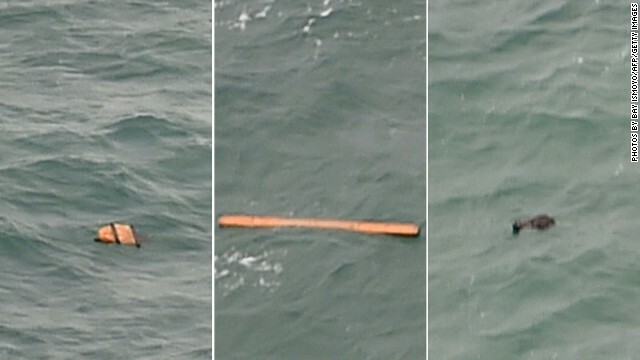 (CNN) - A grim discovery in the waters off Indonesia on Tuesday dealt a heartbreaking blow to families whose loved ones were lost on AirAsia Flight QZ8501, and their anguish was felt around the world. Two bodies were spotted as well, Indonesian navy official Manahan Simorangkir told CNN. The body of a woman was recovered, but large waves have prevented crews from getting to the second body, Simorangkir said. Washington (CNN) - Rep. Michael Grimm announced late Monday night plans to resign from Congress, after pleading guilty to a felony tax evasion charge last week. The announcement came just hours after a source familiar with Grimm's thinking told CNN he would resign "sooner rather than later," after the New York Daily News broke the news of Grimm's plans to step down. "After much thought and prayer, I have made the very difficult decision to step down from Congress effective January 5th, 2015. This decision is made with a heavy heart, as I have enjoyed a very special relationship and closeness with my constituents, whom I care about deeply," Grimm said in a statement issued shortly before midnight by his office.